Okay, so maybe my headline is bit over the top. The Leeo Smart Alert Nightlight isn’t a robotic fire extinguisher (although Leeo CEO and co-founder Adam Gettings’ background includes designing robots for SWAT teams and other first responders). But the Leeo really can prevent your house from burning down, and that renders this $99 $50 nightlight very inexpensive indeed. A smoke detector can save your life and property if a fire breaks out, and a carbon monoxide detector can save your life. But if you’re not home to hear those alarms go off, they’re not very useful. One alternative is to install a home-security system that provides remote monitoring, but ADT, Vivint, and similar companies charge at least $15 per month for that service. You can control the brightness of the Leeo’s nightlight feature using the app on your smartphone or by rotating the collar on the device itself. Buy a Leeo for $99 $50 and if it detects your smoke or CO detector going off, the Leeo service will send you a message via the app, complete with a recording of the alarm sounding off. Touch one button to call your local 911 (local to your home, not to where you are at the time), or touch another to indicate a false alarm. If you don’t take action immediately, the Leeo service will robo-call your emergency contact list until someone not only answers, but takes action (since the call could go to voicemail). 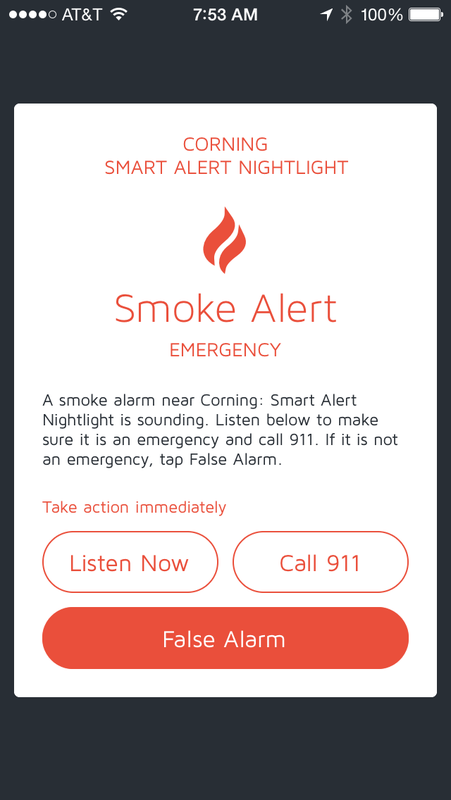 The call will play the recorded sound and ask the person to press 1 if they think it’s a smoke (or CO) detector, to press 2 if they think it’s a false alarm, or to press 3 to hear the sound again. The Leeo did produce a couple of false CO alarms. The app message (see example below) informs you of the location of the alarm, but the robo-call does not. I hope Leeo changes that in short order, because if the people on your contact list also have Leeos, or if you have more than one home with one, the person answering the call won’t know where the emergency is. I also hope Leeo finishes the Android version of its app soon, because I don’t have an iPhone. Today, the app works only with the iPhone 4S or later, with iOS 7 or later. it can also be controlled by a fifth-generation iPod touch. I used my wife’s iPhone 5 to evaluate the Leeo. Here’s how it works. Open a free Leeo account and install the Leeo app on your smartphone. Plug the Leeo into an electrical outlet, preferably in a hallway where your smoke or carbon-monoxide detector is located. Launch the app and it will use Bluetooth to pair your phone with the Leeo. The final step is to provide the app with your Wi-Fi router’s password, so that the Leeo can join your home network. 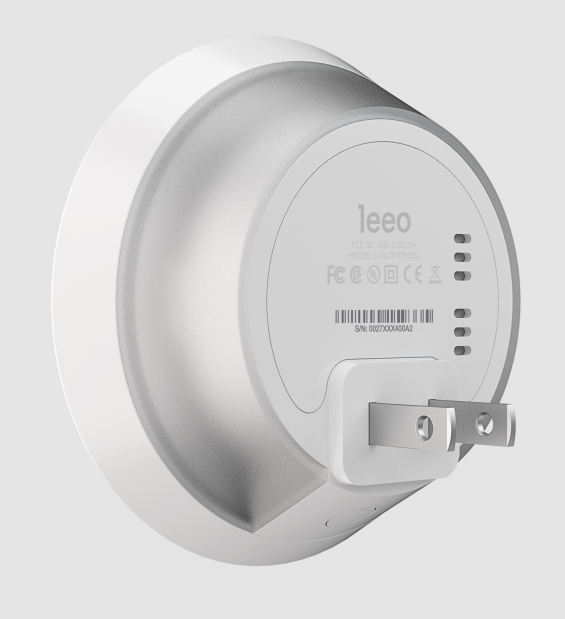 Leeo sends this message via its app when it detects a smoke or carbon-monoxide sensor sounding off. The Leeo is equipped with a microphone and sensors for temperature, humidity, and ambient light. The microphone is tuned to recognize the specific frequencies and audio patterns that smoke and CO detectors generate when they sound an alarm (a Leeo spokesperson told me there are UL-standard frequencies that all smoke and CO detectors produce). And in my tests, the Leeo was able to distinguish between the two alarms. Leeo (the company) states the sensor’s range at 75 feet, and it was able to pick up my CO detector’s alarm from more than 50 feet (in a bedroom on the other side of the house). You might want more than one Leeo if you own a very large or a multi-storied home. The app supports multiple Leeos and can determine which one is sending an alert. The Leeo also produced a couple of false alarms while I was testing it. The first one happened when I went back into my bedroom to close up the ladder I’d used to reach my ceiling-mounted smoke detector about 20 minutes earlier. When I came back into the room, the Leeo was flashing red and my phone ringing. I answered the call to hear a recording of me talking to my wife, who was in the kitchen as I was in the bedroom folding the ladder. The app registered the event as a carbon-monoxide alarm. I tried to reproduce the circumstances that produce the false alarm, but it didn’t happen again. That piqued my curiosity, so I set about producing other noises to see what would happen. I picked up a crystal water glass and began slapping a stainless steel butcher knife against it to produce a high-pitched ringing. Sure enough, another false alarm—a CO detector alert once again. But when I dismissed the alert and tried again, I once again was unable to reproduce the false alarm with the same noise. The Leeo Nightlight gives you rainbow of colors to choose from. I also tried breaking a rack of pool balls (with the Leeo plugged in in the same room); banging stainless steel pots, ceramic plates, and silver flatware together; and playing loud music (including Jimi Hendrix’s guitar-feedback-infused EXP, from Axis Bold As Love). None of those sounds had any effect on the Leeo. But an hour or two later, my wife called to me from our master bathroom where she was drying her hair (I was in my home office on the other side of the house). The Leeo once again generated a false CO alarm. And once again, we were unable to reproduce it. Your home will likely be quiet when you’re not in it, unless your pet knocks over a vase or a neighborhood kid launches a baseball through your window (I didn’t attempt to produce either of those sounds), so there’s probably little risk of a false alarm while you’re away. But if you’re away and your spouse or children are home and create a noise that generates a false alarm, it could be, well, alarming. Fortunately, the Leeo’s ability to send you a recording of the sound that triggered it should put your mind at ease if it does happen. When I queried Leeo about my false-alarm experience via email, I received this somewhat sterile response: "The Leeo Smart Alert Nightlight is programmed to recognize the frequencies and patterns associated with smoke and CO alarms. It also continually learns and updates as a device to keep families and their homes safe. The Leeo app, available tomorrow [ed: Tuesday, October 21] on the App Store embodies all of the latest updates and learning to date." I will monitor the Leeo's performance over the next couple of weeks and will revisit my verdict if false alarms prove to be an issue. The app displays the current temperature and humidity level near the Leeo. I suppose the temperature sensor could help you confirm that a fire has broken out in your home, but one would hope that the fire hasn’t become that intense so quickly. And if you see it registering a very low temperature, you might worry about the possibility of your pipes freezing or your pets coming to harm. The humidity sensor might be useful as a warning that conditions are ripe for mold growth or that there’s a major water leak (from a broken pipe, for instance). These sensors will generate alerts if either level goes to an extreme, but they’re redundant if you have a smart thermostat. The Leeo doesn’t require a grounded outlet, so it will work in older homes, too. I could say the same for the nightlight, and it would be great if Leeo came out with a cheaper model that dropped that feature as well as the temperature and humidity sensors. If you do want a nightlight, the Leeo is a great one. It’s outfitted with an array of multi-colored LEDs that illuminate the Leeo’s collar and bounce light off the wall behind it. 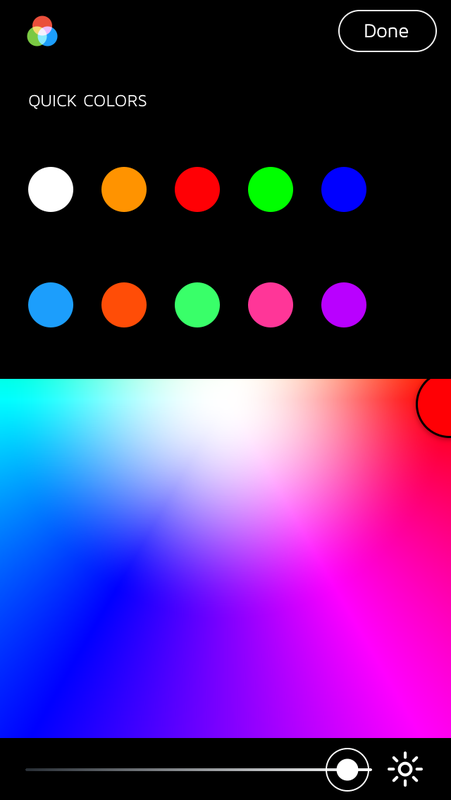 You can choose among millions of colors by sliding your finger across the app, or you can pick from 10 predefined colors, including white. You can also adjust the brightness level. If you activate the ambient light sensor, the Leeo will automatically alter its brightness based on the level of light in the room. The LEDs also flash red to inform you of an emergency. They pulse white while communicating with your phone, and they fade from blue to white while connecting to your Wi-Fi network. A single LED could be just as useful for these notification functions. 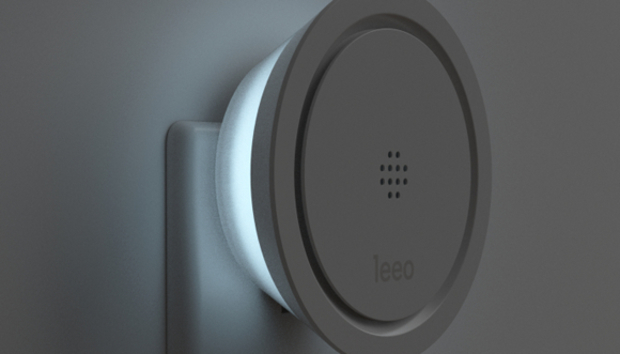 Leeo is an expensive nightlight, but no one will buy it just for that. Despite the two false alarms, I would trust its sensors to alert me to a fire or carbon monoxide emergency in my house. A simple text message might induce panic, so the embedded recording is a brilliant feature. And the cascading contact list will ensure that someone will hear about your emergency and take action. Second, the Leeo would be an even better product if it had a battery backup. Smoke detectors run on batteries, and the AC-powered models have battery backup. Routers don’t, but if you connect yours and your Internet gateway to an uninterruptible power supply, your home won’t lose its connection to the Internet during a blackout. A battery-backed GSM module would be an even better solution, but then Leeo (the company) would probably need a service contract. And that’s something it has avoided with this product. 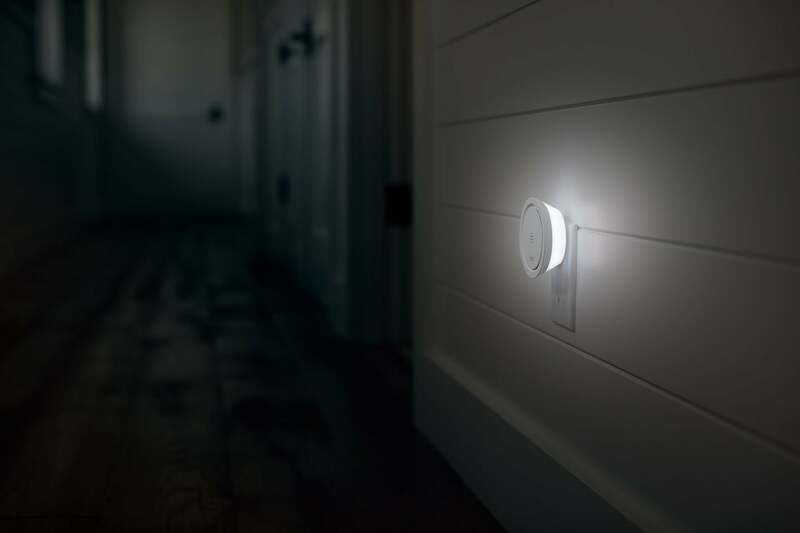 Bottom line: The Leeo Smart Alert Nightlight is a smart product for any home. Update: This story was originally published on October 21, 2014. The story and its headline were updated after Leeo added IFTTT support and reduced the price of the Leeo Smart Alert Nightlight to $49.99.